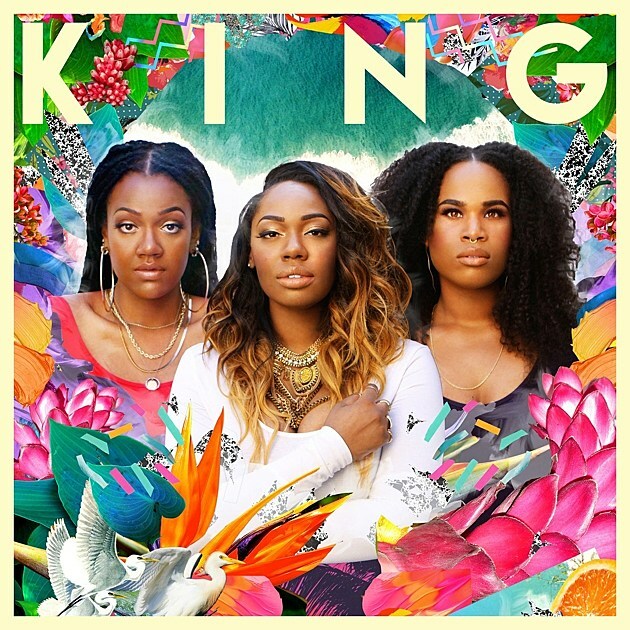 LA trio KING are releasing their debut album We Are KING on February 5 via their own KING Creative label (pre-order), and so far they’ve released two songs from it, “Hey” (Extended Mix) and “The Greatest.” They’ve got a sound that simultaneously recalls classic soul and fits right in with the kind of psychedelic R&B that’s been a dominating force these past few years. If you dig Jazmine Sullivan, Frank Ocean, or the self-titled Beyonce album, you’re probably gonna like these KING songs too. Listen below. KING are touring this winter, including two NYC shows. One is a Winter Jazzfest show happening January 15 at The Bitter End with a hip hop-oriented bill of Kendrick Lamar collaborator Terrace Martin, drummer Makaya McCraven, composer Slingbaum re-imagining Ravel, a re-imagining of 1954’s Sarah Vaughan with Clifford Brown (which was previously done in DC by The Roots pianist Ray Angry), and trumpeter Theo Crocker. The full schedule for Winter Jazzfest was recently posted. Check out the January 15 marathon, the January 16 marathon, and the general schedule. Tickets are still available. KING’s other NYC show is a record release show at Le Poisson Rouge (2/5) the day the album comes out. Tickets are on sale now. All dates are listed below.